First, thanks for sending me the alert below. I used to be on Campaign for Liberty's mailing list but was somehow dropped, perhaps when they learned that I now work for George Soros (just kidding!). I'm sure in the interest of fairness you wouldn't mind sending to everyone who received the dispatch below, which contains a lot of opinion presented as fact, in my view, my attached "transliteration" of it. I suggest they be read side by side for full effect. p.s. As to your remarks below: Could this (what you pejoratively call a "Con-Con") actually be part of a "devious" plan to restore Constitutional Government to America? Think about it. I'll have more to say in my next essay. Stay tuned. Subject: Team Obama is supporting this? A former adviser to the Obama campaign is behind the push for an Article V Convention. Lawrence Lessig, former adviser to the Obama campaign, is on the board of multiple efforts to call for a constitutional convention, including Compact For America, ConventionUSA, and others. For years the federal government has been ignoring the limits placed on it by the Constitution. These are just a few examples of how politicians are currently ignoring the Constitution. Yet some in Virginia think calling a constitutional convention will help create new "limits" on the federal government. But when politicians ignore the Constitution with impunity, passing another amendment isn't going to change that. And the truth is, our Constitution could be shredded if either HJ 497 or SJ 269 pass. These are both vehicles calling for an Article V Constitutional Convention. Call your state legislators today and tell them not to cave into the pressure. Tell them to stand strong and vote NO on HJ 497 & SJ 269. Some Article V Convention supporters think a constitutional convention can be limited to certain types or categories of changes. And many people believe these bills limit a convention to a specific agenda. But that simply is not true. Most scholars agree that a constitutional convention cannot be limited. And that's just one reason why Virginia Campaign for Liberty opposes an Article V Constitutional Convention. Known as the "Convention of States" (COS) application, HJ 498 and SJ 269 call for a convention "limited" to an "idea," not a particular amendment. But the Convention of States' own website points out that if a convention is called. . .
. . ."the convention of states itself would determine which ideas deserve serious consideration. . ."
And what they fail to point out is that literally hundreds of progressive organizations, such as Sierra Club, Code Pink, Alliance for Progressive Values, MoveOn, and "Occupy," have been pushing for a convention since 2009! Do you trust the progressive states, such as California, New York, and Illinois, to fall in line with what Virginia wants? It's critical you call your state legislators today and tell them not to cave into the pressure. Tell them to stand strong and vote NO on HJ 497 and SJ 269. There is no way a convention can be limited. Please let your state legislators know that you oppose any call for a so-called "Convention of the States." Article V of the Constitution allows states to apply to Congress for a convention to amend the Constitution. Once 34 states have submitted similar applications, Congress must "call" the convention. But Article V does not empower the states to have any control over the convention itself. You would have NO control over the rules of the convention or who attends to represent you – contrary to the hubris of some convention supporters. And the only thing more dangerous to your liberties than ignorance is arrogance. Do you remember how Establishment Republicans treated the liberty delegates at the 2012 GOP conventions? Imagine what will happen at a convention being held to manipulate the U.S. Constitution, with BOTH Republican and Democrat Establishment and hundreds of progressive, George Soros-types pulling the strings. A convention is extremely dangerous – especially today! HJ 497 and SJ 269 must be stopped. P.S. If an Article V Convention were called, it would likely be impossible to stop devastating changes from being made to our Constitution. According to America's history of conventions, the delegates chosen could wield unlimited power to propose revisions to our Constitution. Call your state legislators today and tell them not to cave into the pressure. Tell them to stand strong and vote NO on HJ 497 and SJ 269. • Did Brittany Maynards Donating Her Eggs Lead to Cancer That Prompted Assisted Suicide? 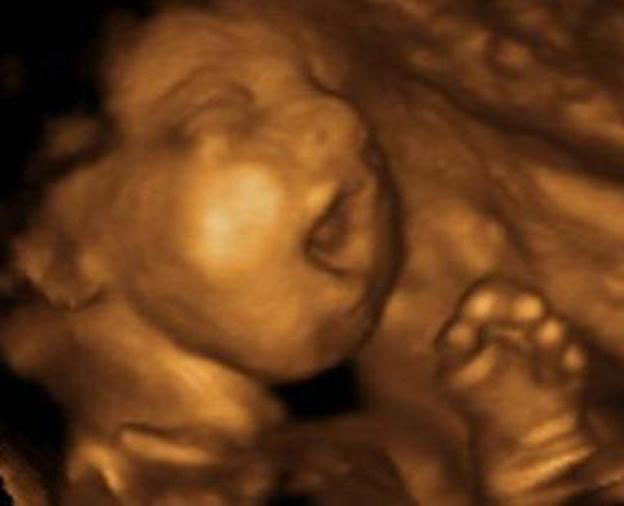 A new poll released today indicates Americans strongly support legislation that would ban late-term abortions and protect babies who are capable of feeling intense pain during an abortion. The vast majority of Americans are still very uncomfortable with abortion, according to a new Marist University poll. Nine-month-old conjoined twins are getting ready for surgery next month that doctors say has an excellent chance of success. Knatalye Hope and Adeline Faith Mata of Lubbock, Texas, were born April 11 at Texas Childrens Hospital Pavilion for Women. A family with an encouraging story about how they rejected abortion for their unborn baby participated in a March for Life to stand up against abortion. Roos baby had Trisomy 18  a chromosome disorder so bad that doctors recommended she have an abortion because her baby may not survive the pregnancy. We often write about how legalized abortion has produced a culture of death that sometimes results in infanticide. Here is a terrible case of of Indiana that exemplifies that. Warning,some details of this story are quite upsetting. In 2011, Carmelle and Steve Hartgrove were told that her twin girls had a 30% of survival because they shared an amniotic sac and placenta. Then their doctor recommended that they abort one to save the other; however, the Tennessee couple wouldnt even consider it. Did Brittany Maynards Donating Her Eggs Lead to Cancer That Prompted Assisted Suicide? Should the UN be held accountable? You tell us! Of Course they were! He has NO CLUE about REAL Leadership! A look back at the victories of 2014 . . . Thanks to you we did it. With your support, we exceeded our 2014 year-end fundraising goals. From all of us at the ACLJ, thank you. You helped make 2014 a tremendous success. Read Our Look Back at the Victories of 2014. In fact, we won a major victory in the final hours of the year. We defeated a dangerous attempt by the terrorist-led Palestinian Authority to cripple our ally Israel at the United Nations. We pressured the United States and other U.N. members to defeat a Palestinian resolution that would have made Israel far more vulnerable to terrorist attacks. Read Our Report: Major 11th Hour Victory for Israel at the UN. During the closing hours of the year, we posted multiple stories of our work for the persecuted Church across the globe. Your support made all this possible. Read Our Analysis: Defending the rights of Christians in Russia. Read Our Analysis: Protecting Persecuted Christians in Pakistan. Read our Analysis: An Intense and Victorious Year in Europe. We face many challenges to faith and freedom here in America and across the globe, but we are ready for the challenge. Thank you again for standing with the ACLJ.